A rainwater head, or a rain head, is an essential component for any modern roof. 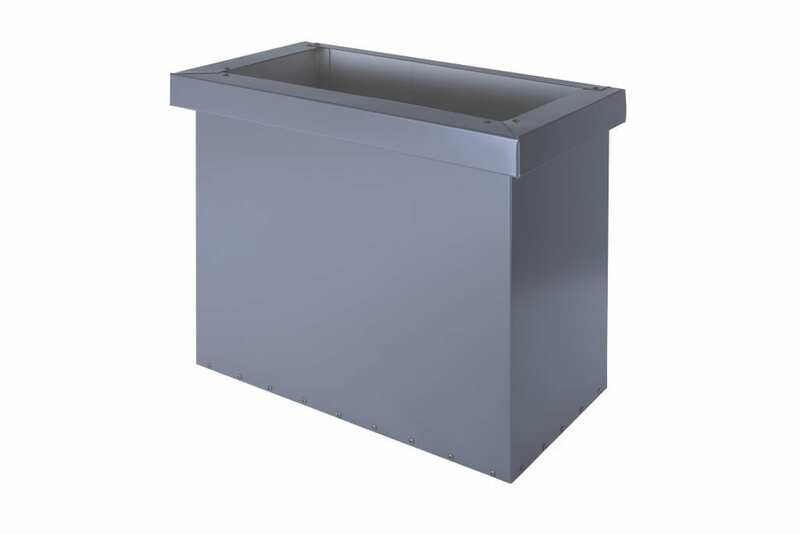 If you have a rainwater tank and intend to store rainwater for later use, a rain-head is the perfect accessory to complement your rooftop gutters. Here is a look at the notable features, available options, benefits, and downsides of the rain heads, especially in the context of the Australian climate and weather. Modern rainwater heads are installed at the junction between a downpipe and the gutter on your rooftop. They perform various functions – when strong winds blow leaves and other debris onto your roof, rainheads prevent such debris from entering the downpipe. Rainwater heads also prevent water surges by releasing overflow water and allowing only a certain amount of water to enter the downpipe. Rainwater heads are available with a huge range of options. They typically fit on top of the downpipe and are compatible with PVC piping, steel piping as well as other plumbing components. The design of the rainwater is such that the rainwater from your rooftop directly flows into the open mouth of a rainwater head. The head features an internal leaf guard and insect guard. These features prevent leaves, insects, small pieces of twigs and sticks from entering the downpipe and reaching your storage tank. Most regions in Australia experience generous annual rainfall. Sydney also receives a decent amount of rainfall in the late autumn and winter. For well over a century, Sydney residents have been harvesting rainwater as a valuable resource. Rainwater tanks, above ground or underground, are the most common way of storing rainwater for later usage. However, harvesting rainwater comes with its set of problems. One of the most common problems faced by homeowners in Sydney is rooftop debris and insects. Strong winds blow leaves, twigs and other forms of debris on most roofs. This is particularly true if your roof has overhanging trees. Normally, homeowners choose to clean and maintain the rooftop on a regular basis to prevent the accumulation of the debris. But this is a major hassle and fresh debris may be shed on to your rooftop at any time. If it rains while the debris has not been removed, the debris can wash through the roof gutters and into the rainwater storage tanks. Another major problem with the rainwater harvesting system is storm surges. A water surge in the event of heavier rains can end up damaging your stormwater management system. Worse still, the surge may overflow into the interior of the house and damage the walls, ceiling and other parts of your property. Rainheads provide a highly affordable and effective solution to these problems. They reduce the hassle for homeowners while ensuring that the rainwater flowing into the storage tank is clean and free of any debris, insects or other contaminants. Better Water Management: Rainwater heads aid in ensuring the flow of water from the rest of the rooftop. They essentially help direct the water to their specific location. At one hand, this prevents water from accumulating or pooling up on the rooftop, preventing potential damage. At the other hand, this ensures highly effective water management by minimising wast. Rainwater Quality Assurance: As stated above, one of the main concerns with rainwater storage is impurities and contaminants. Debris such as leaves can wash into the rooftop gutters and from there, flow through a downpipe to a rainwater storage tank. Rainheads prevent this by effectively blocking out such impurities and ensuring a far better quality of the stored rainwater. In many cases, the stored rainwater quality is so improved that it can be safely used for cooking and drinking. Lower Long-Term Costs: If leaves wash into your rainwater tank or storm management system, they can block up the pipes. In severe cases, pipe blockage will cause water to overflow all over the rooftop, causing significant damage to your property.Rainheads effectively prevent this by preemptively ensuring that only clean water flows into the gutters and the pipes. Better Water Tank Longevity: Water tanks can quickly accumulate sludge at their bottom. This is particularly true if the water entering the tanks is not properly filtered. If the water is poorly filtered, the tanks need more frequent maintenance and servicing. If the same water is filtered more thoroughly, as achieved by a rainwater head, you need to clean up the tank less often. This ensures a better life for the storage tank as well as reduced maintenance costs. 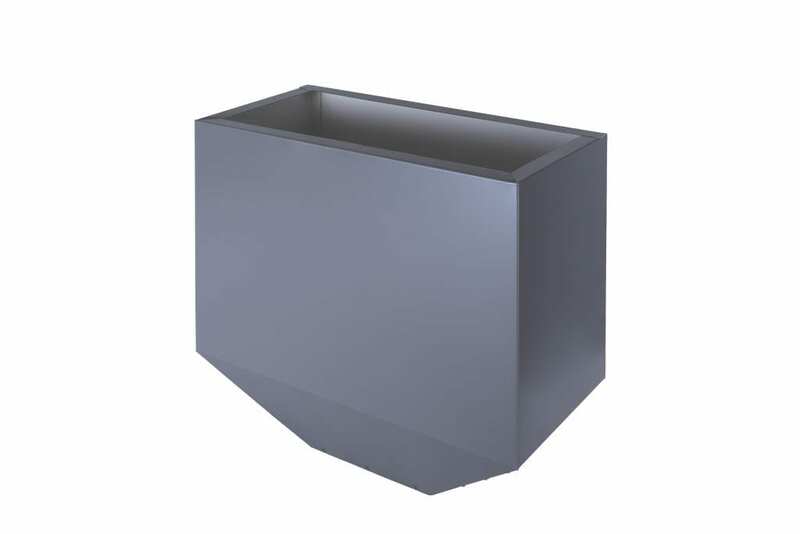 Good Aesthetic Appeal: Rainwater heads are available in a huge range of options, colours, shapes and sizes. You can easily choose a head that complements your roof type perfectly while adding to its aesthetic appeal and looks. Colonial or heritage rainwater heads, in particular, are known for featuring stunning designs and are an excellent way of enhancing the outlook of your rooftop. Rainwater heads come in various shapes, sizes, colours and makes. Many vendors also offer custom rain water heads, depending on the specifications provided by the homeowners. – Round: Round rainheads, as the name suggests, have a curved design and are available in a number of geometrical shapes. These include full-circle rainheads as well as rainheads shaped as a semi-circle, quarter circle and U-designs. Round rainwater heads are great in that they integrate equally well with colonial or heritage architecture as well as the more modern forms of architecture. In fact, they are often included among modern rainwater heads. – Box: Box rainheads come with clearly defined designs and shapes. They feature a trim, neat and minimalist look with a very practical design. This particular style of rainheads specifically suits brickwork or commercial buildings of a smaller size. They work equally well with other forms of architecture as well. If you are unsure about the style or design you should choose, go with these rainwater heads. Sydney residents, in particular, can safely choose this urban rainhead style. – Tapered: Tapered rainheads come with a sloping design. They are more complex and intricate compared to the standard round or box rainheads. 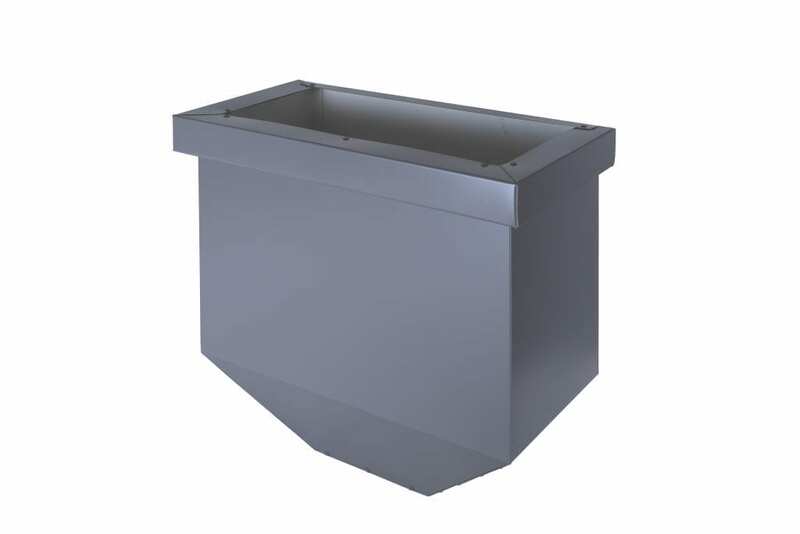 The design of a tapered rainwater head typically comprises of a rectangular top and a tapering bottom culminating into the downpipe link. 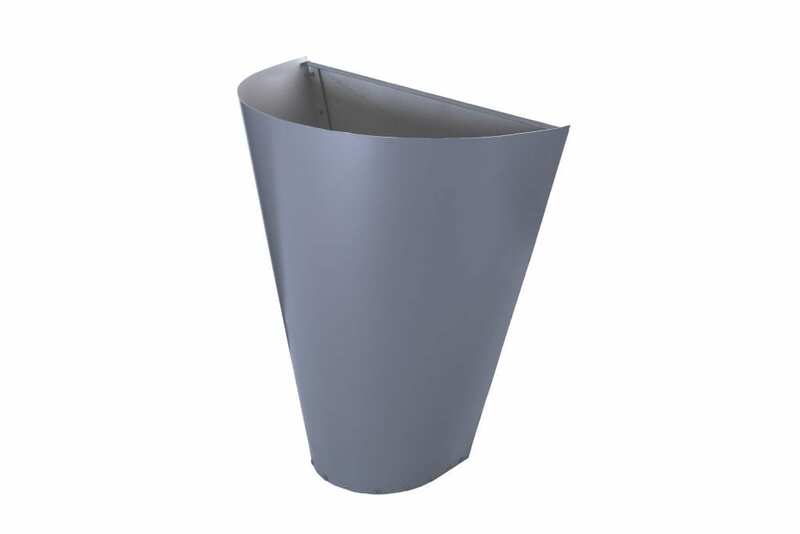 Tapered rainwater heads have a better structural strength and can withstand weather conditions more effectively. For this reason, they are recommended for larger rooftops as well as for commercial and industrial buildings. 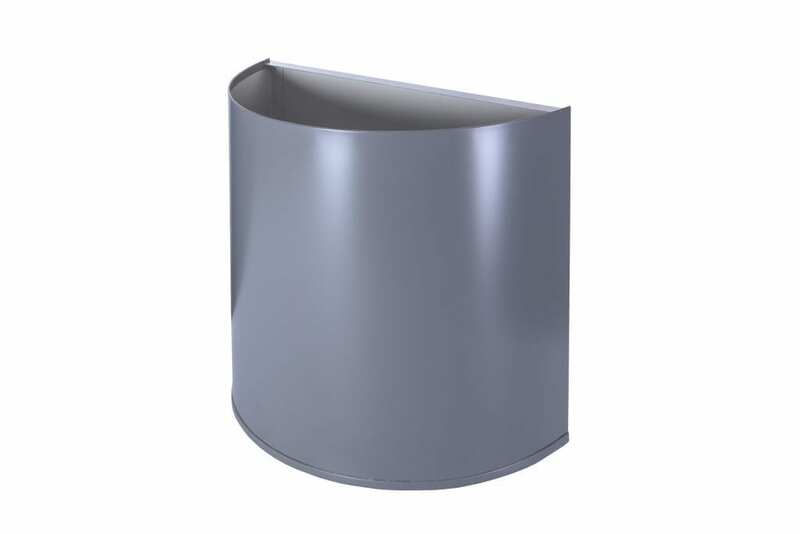 – Curved: Curved rainheads feature conical, cylindrical and other related shapes. They are longer than most other rainheads which adds to their elegance and looks. For their elegant and practical shape, curved rainwater heads are suitable for both residential and commercial buildings. Another upside to the curved rainwater heads is that they cost significantly less than other varieties. – Segmented: Segmented rainwater heads are incredibly intricate and exude a touch of class and elegance. They are typically used to complement colonial or heritage architecture as well as modern buildings constructed with classic architectural components. Segmented rainheads feature an exceptional degree of detail which makes them truly stand out with their ornate looks. Rainwater heads are often categorised on the basis of their style. Style signifies the aesthetic outlook of a rainhead. On the basis of their looks and style, rainwater heads can be distinguished as classic, heritage and modern. – Classic rainwater heads: Classic rainwater heads are made from materials that have been traditionally used for rainwater management and storage. Classic rainheads often use traditional metals such as steel or iron in their construction. They also have an old-school design which is a throwback to the rainheads that were in use during the early 20th century. – Heritage rainwater heads: Sydney is home to a large number of heritage buildings. Most of these buildings feature an iconic colonial architecture, complete with their unique roofing and roof gutters. The rainwater heads that have traditionally been used on these buildings usually have a segmented or ornate design. Such rainwater heads are often categorised separately as heritage rainwater heads. They are particularly well-suited for use as replacement rainheads at heritage buildings or historical architecture. Heritage heads are often constructed from copper, given the association of the metal with the colonial architecture in Australia. – Modern rainwater heads: Also known as contemporary rainwater heads, the modern units are manufactured from a variety of materials. Materials such as PVC and colorbond steel, which are relatively recent innovations, are used in the construction of the modern rainwater heads. A distinguishing feature of these rainheads is that they come in a far greater variety of colours and shapes. This is primarily because of the greater flexibility of the manufacturing materials. 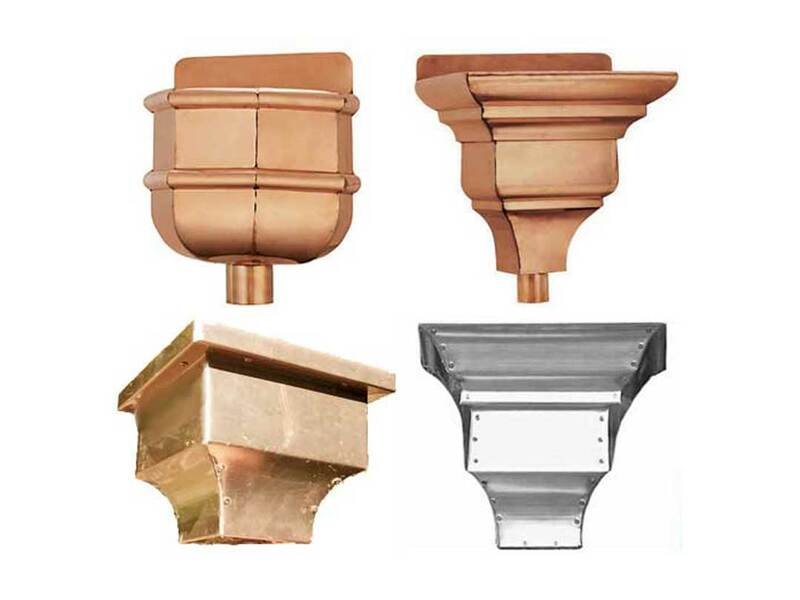 – Copper Rainwater Heads: Copper is a soft metal, which is why it is easy for craftsmen to shape it into any design. 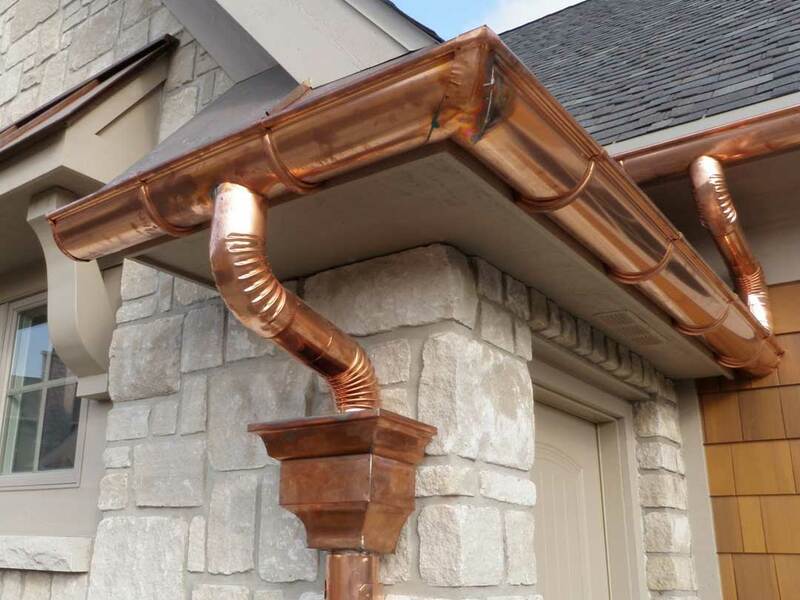 Copper is used in the construction of rainheads for a variety of reasons. 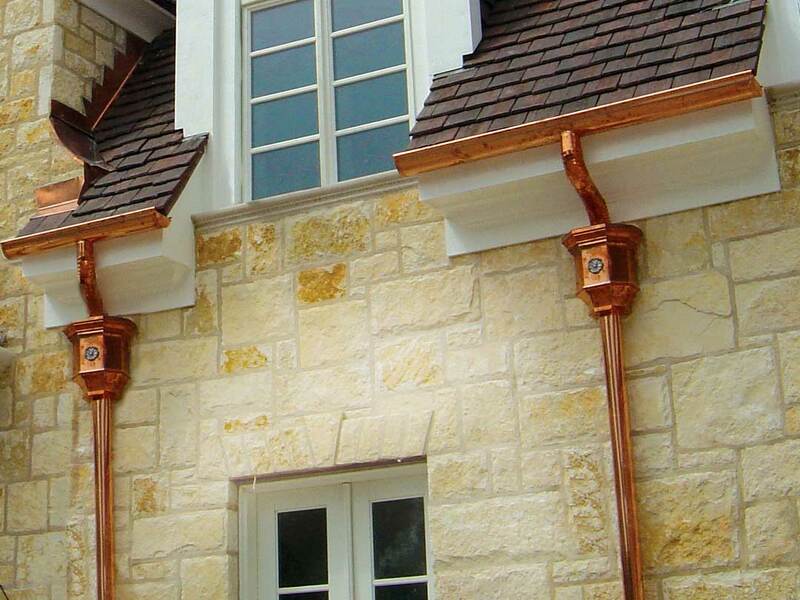 For a start, copper is incredibly durable – it will not rust or suffer any erosions over an extended period of time. In fact, most copper accessories will work perfectly for well over a century. Skilled craftsmen are able to create brilliantly intricate and highly decorated rainheads using copper. This is why copper heads are frequently used as heritage rainwater heads. – Cast Iron Rainwater Heads: Another material frequently used in making rainwater heads is cast iron. This is particularly true for the rainheads used in the heritage buildings in Sydney and other areas of Australia. Cast iron rainheads offer the distinct advantage of being exceptionally durable. They are able to withstand heavy storm surges and large rainwater volume without incurring any damage. This makes them a dependable choice for many homeowners as well as owners of larger buildings. A slight downside to cast iron rainheads is that they can’t be used to create as intricate designs as allowed by copper. – Colorbond Rainwater Heads: Colorbond rainwater heads perfectly complement colorbond roofing. In fact, they can be made to work with virtually any kind of roofing, thanks to the huge range of colours in which they are offered. Colorbond rainheads are incredibly durable, withstanding severe weather conditions and storm surges quite well. They are also light-weight and affordable which makes them a good choice for most homeowners. – Steel Rainwater Heads: Steel rainwater heads can be divided into two distinct categories: galvanised rain water heads and stainless steel rain heads. 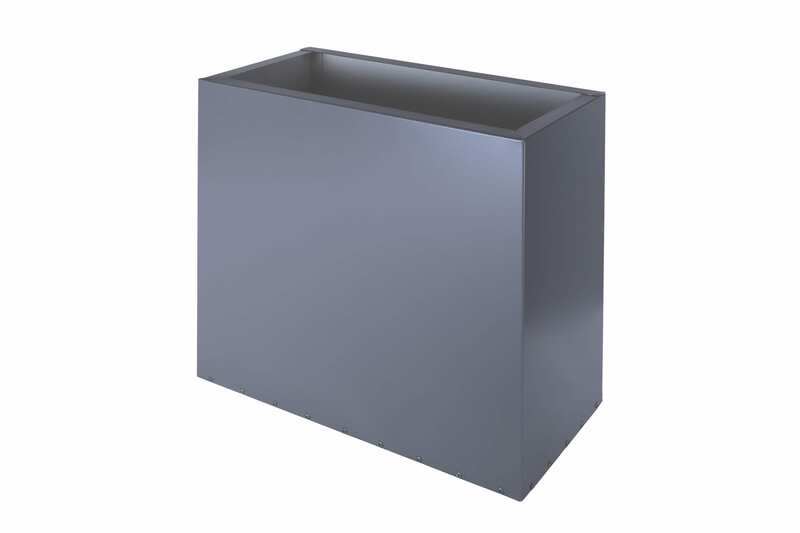 Galvanised rainheads have good weather resistance and are able to last a long time. 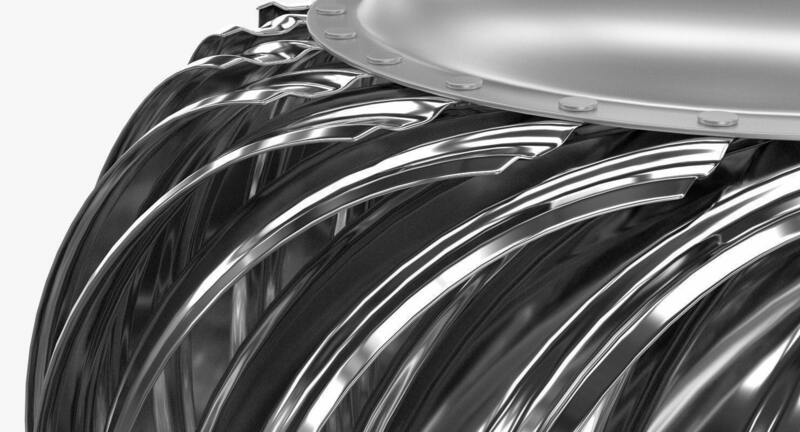 In contrast, stainless steel rainheads last longer – they are also more durable and better resistant to corrosion. That being said, stainless steel rainheads are typically more costly, so you can choose between the two depending upon your budget and other preferences. – PVC Rainwater Heads: Plastic rain heads, also known as PVC rainheads, are one of the most popular types of rainheads. PVC is an incredibly flexible material – it can be moulded and shaped into a huge range of designs. For this reason, PVC rainheads can be used with virtually any type of building and roof. PVC rainheads are also incredibly durable and last a very long time, resisting the worst of weather conditions quite well. Compared to rainheads made from other materials, PVC heads cost less and are a lot more affordable. The length and width of a rainhead depends entirely on its intended application. The length-to-width ratio of a rainwater head also determines its structural integrity and strength. If you are going to use the rainhead to manage rainwater on a larger roof, you will need a rainhead that is suitably wide and long. The extra width enables the rainhead to receive a larger volume of water while the length adds structural integrity to the design. The size of the rainhead is a vital factor to consider when selecting a rainwater head. Most rainwater heads are available in various sizes, ranging from the very small to the very large. The right size for the rainhead is directly related to the amount of water it is expected to handle. The more water your rooftop accumulates at the gutter, the larger should be the rainwater head. However, larger size has its risks. Structural integrity and strength are harder to maintain in larger rainheads. For this reason, it is often preferable to use multiple rainheads on larger rooftops instead of using a single or fewer large rainheads. One of the most important considerations when choosing a rainwater head is the size of the downpipe outlet. The outlet will connect directly with the downpipe, so it should be sized suitably to be compatible with the downpipe. If there is a disparity between the size of the downpipe outlet and the downpipe itself, this can lead to leaks in the event of a rain. Size disparities can also make the rainhead installation precarious and prone to damage in adverse weather conditions. The outlet size will also determine the water exit rate of a rainhead. The smaller the outlet, the slower will be the speed at which water moves through the rainhead. If you are going to use a rainhead for the veranda, deck or a smaller roof, you can go with a smaller downpipe outlet size. Conversely, you should choose a larger outlet size when choosing a rainhead for a regular-sized rooftop. The downpipe outlet on a rainhead is typically positioned at a side or at the bottom. The position of the outlet depends on your preferences as well as the location of the rainhead with respect to the downpipe. Most homeowners prefer to choose a standard position of the downpipe outlet, at the bottom of the rainhead. Sydney experiences a heavy spell of rainfall every now and then. The storm surge in your rainwater management system can cause serious problems if you don’t take timely precautions. The good news is that quality rainwater heads come with a built-in solution to this problem. This is the overflow chute. You can choose whether or not to have the chute included, although we highly recommend it for Sydney homeowners. The overflow opening gives you the option of automatically removing excess water from the rainwater head, preventing it from causing a surge along the downpipe. If you choose to have an overflow included in your rainwater head, you will need to determine where the overflow opening is located. The position of the overflow determines how much water will pass through the head into the downpipe. The higher the overflow is located on the head, the more rainwater filters through the rainhead mesh into the downpipe. If the overflow is located lower on the head, more of the rainwater will exit the head and be wasted. If your locality has heavy rainfall spells, as is true for Sydney, you would do well to carefully determine the position of the overflow. A lower overflow may remove a greater amount of water from the rainhead but it also ensures that the rainwater does not sustain any damage due to storm surges. Some rainwater heads feature a bead at the top of their structure while others come without any bead. A bead is a good structural component. It reinforces the shape of a rainhead and adds to its strength. This is particularly useful during routine maintenance when a bead helps prevent potential damage to the rainhead. One of the most important features of a rainwater head is the mesh screen. The mesh screen effectively blocks leaves, insects and other impurities from entering the downpipe. In doing so, it also maintains the quality of the stored rainwater. Rainheads come with various mesh sizes. Some rainheads feature finer mesh screens and others come with screens meant for larger debris. Finer screens block even smaller insects from entering the rainwater drainage system. These include insects as small as mosquitoes. Larger mesh screens are meant to block out the larger debris such as leaves, twigs and branches. Many rainheads feature both types of mesh screens to offer optimal rainwater filtering. Rainwater heads offer virtually endless benefits for homeowners. They help you drain rainwater effectively from your roof. They also enable you to manage and store this water while filtering out leaves, insects and other debris. For this reason, homeowners around Sydney prefer rainwater heads as the go-to modern solution for rainwater management. That being said, there are some cons of the rainheads as well. Here is a brief look at these. – Cost: Rainwater heads can cost a neat sum. This is particularly true if you go with the more durable and aesthetically pleasing varieties, such as copper or heritage rainwater heads. For some homeowners, the costs may seem steep in contrast to simple rooftop gutters. Regular gutters are easy to install and cost less in comparison. – Practical Utility: Not all rooftops suffer from the problems of tree-related debris. This is particularly true if your neighbourhood doesn’t have trees in the immediate vicinity of your home. At the same time, not all homeowners store rainwater for potable use. In such cases, a rainwater head may not be a very practical or useful addition to your rooftop gutters. – Structural Integrity: As detailed above, rainwater heads are available in a huge variety. The higher-end models offer excellent durability but the cheaper models may be more prone to structural damage. This is particularly true in the case of heavy downpours when water torrents or storm surges may damage the rainhead. Such a scenario may cause water-related damage at your property.